SCAR And COMNAP Fellowship Schemes In Antarctic Research is offered for Masters, PhD, Post Doc degree in the field of To carry out research proposed by The Scientific Committee on Antarctic Research (SCAR) and Council of Managers of National Antarctic Programs (COMNAP) . You can apply to this scholarship here. The deadline for the sending your application is 01 Jul 2017. 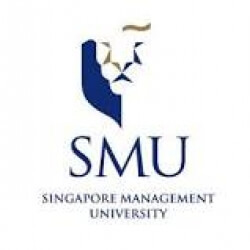 This scholarship is provided by The Scientific Committee on Antarctic Research (SCAR) and the value of this scholarship is Partial Funding, USD $15,000 per award . This scholarship is open for: Open to applicants of SCAR member countries or COMNAP member countries. SCAR And COMNAP Fellowship Schemes In Antarctic Research applicants must be current Ph.D. researcher or the Ph.D. of the candidate should be not more than 5 years old. 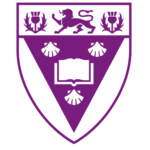 The applicants should contribute to the objectives of one or more of SCAR's science groups which include Humanities and Social Sciences groups, and/or the current Scientific Research Programmes. The number awards will be 4 to 5 awards for 2016. The applicants should contribute to one or more objectives of the home or host National Antarctic Programme, fit within COMNAP's goals and purpose. Applicants from Engineering, Social Sciences, Humanities, Education, Communication and Outreach, and Medicine are also accepted. The number awards will be 1 to 2 awards for 2016. The candidates applying for SCAR And COMNAP Fellowship Schemes In Antarctic Research should submit a research proposal, which should also include the relevant appendices. A reference from the home institute. Agreement from the host institute. The Scientific Committee on Antarctic Research (SCAR) is an interdisciplinary body of the International Council for Science (ICSU). It was established in February 1958 to continue the international coordination of Antarctic scientific activities that had begun during the International Geophysical Year of 1957-58. SCAR is charged with the initiating, developing and coordinating scientific research in the Antarctic region. The scientific business of SCAR is conducted by its Standing Scientific Groups. SCAR also provides scientific advice to the Antarctic Treaty Consultative Meetings and other organizations on issues of science and conservation affecting the management of Antarctica and the Southern Ocean. 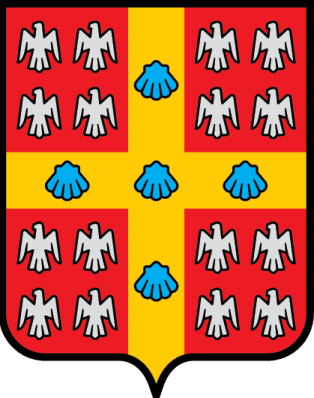 In that role, SCAR has made numerous recommendations on a variety of matters, very few of which have been incorporated into Antarctic Treaty instruments. SCAR meets every two years to conduct its administrative business at the SCAR Delegates Meeting. 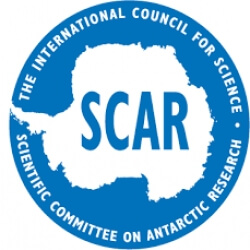 An Executive Committee elected from the delegates is responsible for the day-to-day administration of SCAR though its Secretariat at the Scott Polar Research Institute in Cambridge, England. The Executive Committee comprises the President and four Vice-Presidents. The SCAR Secretariat is staffed by the Executive Director, Executive Officer and an administrative assistant. SCAR also holds, prior to the Delegates Meeting, a major Open Science Conference to draw attention to Antarctic issues, along with meetings of the Standing Scientific Groups that are designed to finalise the Science Programmes for eventual approval by the Delegates. In 2002 they received the prestigious Prince of Asturias Award for International Cooperation. Do you know about The Scientific Committee on Antarctic Research (SCAR)? Yes, you can secure an education loan to study abroad at The Scientific Committee on Antarctic Research (SCAR). Education loans are of two types- Collateral and non collateral. Collateral includes either: Immovable property – a house or a flat or land (or) liquid security – an FD, or LIC or shares or bonds. Agricultural lands are not accepted by any bank for education loan. When is the deadline of SCAR And COMNAP Fellowship Schemes In Antarctic Research ? For which degree is SCAR And COMNAP Fellowship Schemes In Antarctic Research offered for? For which field is SCAR And COMNAP Fellowship Schemes In Antarctic Research offered for? Who can apply for SCAR And COMNAP Fellowship Schemes In Antarctic Research ? Who is offering SCAR And COMNAP Fellowship Schemes In Antarctic Research ? What is the funding covered in SCAR And COMNAP Fellowship Schemes In Antarctic Research ? Where can SCAR And COMNAP Fellowship Schemes In Antarctic Research can be taken at? What are the other best scholarships at The Scientific Committee on Antarctic Research (SCAR)? What are the other Masters scholarships in The Scientific Committee on Antarctic Research (SCAR)?